I should watch this this weekend. Brynner: "Did you get elected?" McQueen: "No, but I got nominated"
What an amazing coincidence! I'm halfway through Seven Samurai right now. It's excellent! 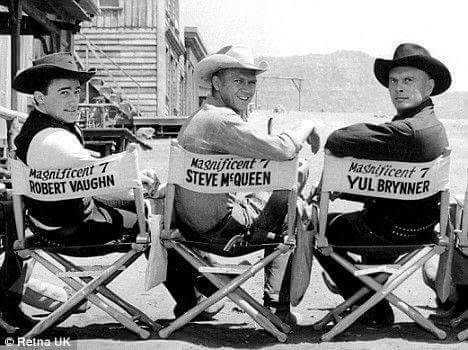 That's when actors were men not like now when they're nothing but loud mouth whiners for the Democrat party. Vaughn was a die hard Democrat 'till his dying day. But then, he was also Napoleon Solo, so, that counts. A Democrat then was much different than a Democrat now. I'm gonna go out on a limb and say he'd likely vote for Trump were he alive. bogside is so right! Those were men. Quite the contrast to today's Hollywood sissies.